Another milestone in the annals of Infelix Ego, for today Melancholicus has been tagged, and that for the very first time. Link to the person who tagged you: The Bovina Bloviator. Let each person know they've been tagged and leave a comment on their blog. Melancholicus shall refrain from tagging six others, for he moves in narrow and esoteric circles, and despite the length of his blogroll (see right) is not confident of finding six suitable fellow bloggers to tag. Many of his regular reads no doubt will have already been tagged in this wise by someone else. Instead he shall modify the rules on his own authority. Anyone reading this with a blog of their own may consider themselves tagged if they wish to play. He was born and raised in Ireland, but has lived for extended periods in Utrecht (the Netherlands), Oslo (Norway) and Nebraska (USA). After lapsing from the Catholic faith in his teenage years, he was converted at the age of 24 by reading a book on Christianity—written by an Anglican! He has at least some knowledge of the Irish, French, Dutch, German, Norwegian, Russian and Arabic languages, but speaks none of them with any degree of fluency (and can not yet read Arabic script), so (with the possible exception of Germany and the Netherlands) he would be quite unable to function in any country in which these are spoken without having to resort finally to English. He also has a reading knowledge through his academic training of Early Irish, Anglo-Saxon, Old Norse, Gothic and Latin. As a boy, his ambition was to be a bus driver for CIÉ. This ambition was thwarted when the buses which inspired it were withdrawn from service at the end of their working lives while Melancholicus was still too young to hold a D-class driving licence, after which he lost all interest. He has no desire to be associated with these bland, characterless modern yokes. 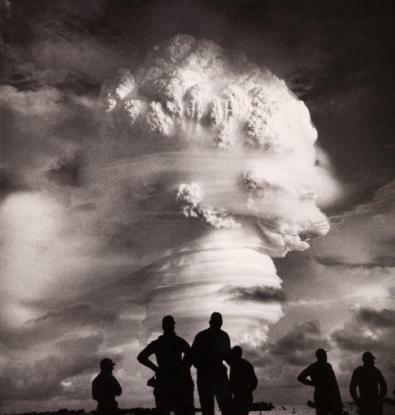 He is fascinated with the subject of nuclear weapons, loves looking at photographs and archive footage of nuclear tests and would love to have the opportunity to witness a real live atmospheric high-yield test at sufficiently close range to feel the heat on his face and the onrush of the shock front, but no so close as to risk serious injury or death, naturally. He really likes the interface presented by Safari browser, though for blogging purposes, Firefox is his clear favourite. Microsoft Internet Explorer he regards as the novus ordo of web browsers and hence not worth bothering with.